This is the ultimate cheat’s curry. 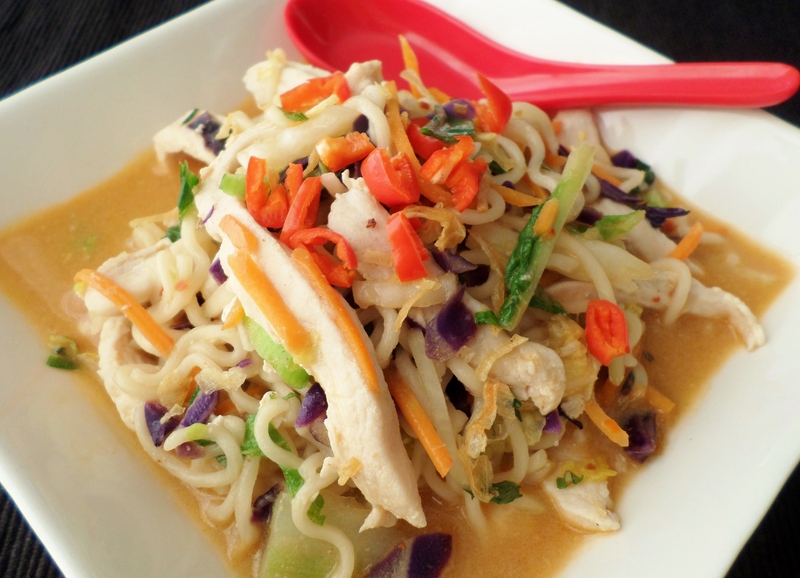 I had the idea for this recipe when I tried Maggi Laksa Noodles. They are like 2-minute noodles but they come with some flavouring sachets which make the Laksa sauce. If you can’t buy these noodles, then you could substitute plain 2-minute noodles plus some Laksa paste and a cup of coconut cream instead of some of the water in the recipe below. 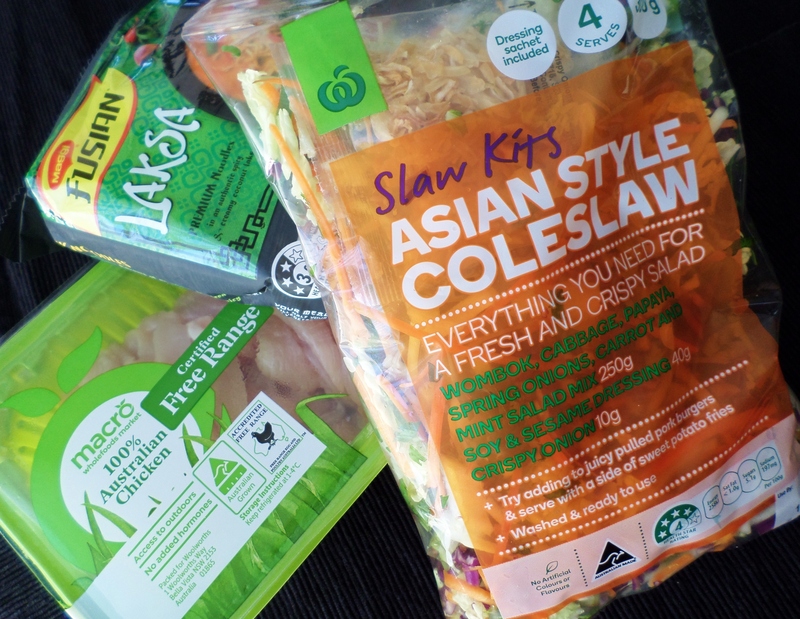 I also bought a bag of Asian-style coleslaw mix from my supermarket, Woolworths. If you can’t get this then I’m sure a normal coleslaw mix would work just as well. Spray a wok or large frying pan with a little cooking spray. Cook the chicken strips over a medium-high heat for a couple of minutes, stirring, until just sealed all over. Transfer the chicken to a plate. Add the noodles and the boiling water to the wok and cook for 3 minutes until the noodles are just tender. 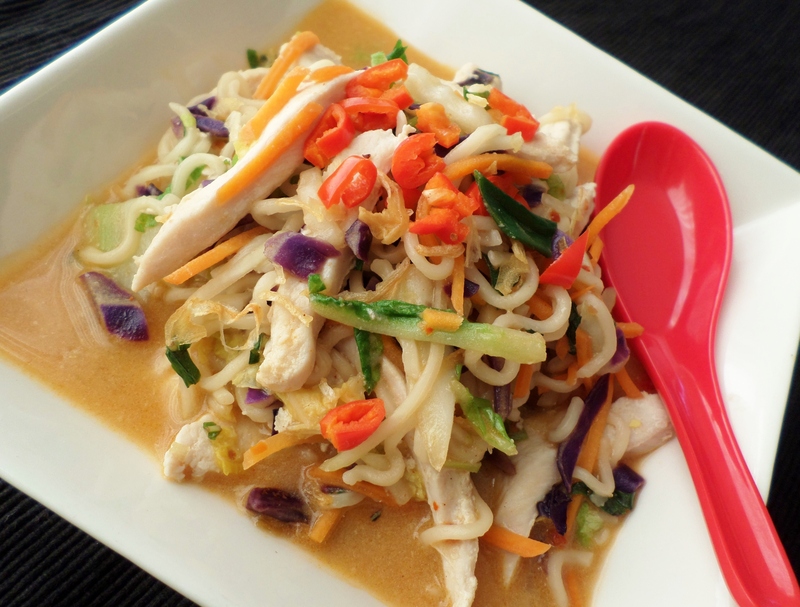 Add both the Laksa and coconut flavouring sachets from the noodle packets. (If you don’t have the flavouring sachets, this is when you add Laksa paste and coconut cream.) Cook for a minute until fragrant. Add the chicken and also the coleslaw mix to the noodles and simmer for a couple of minutes until the chicken is cooked through. Divide between the serving dishes and top with finely chopped red chilli, if you have it. 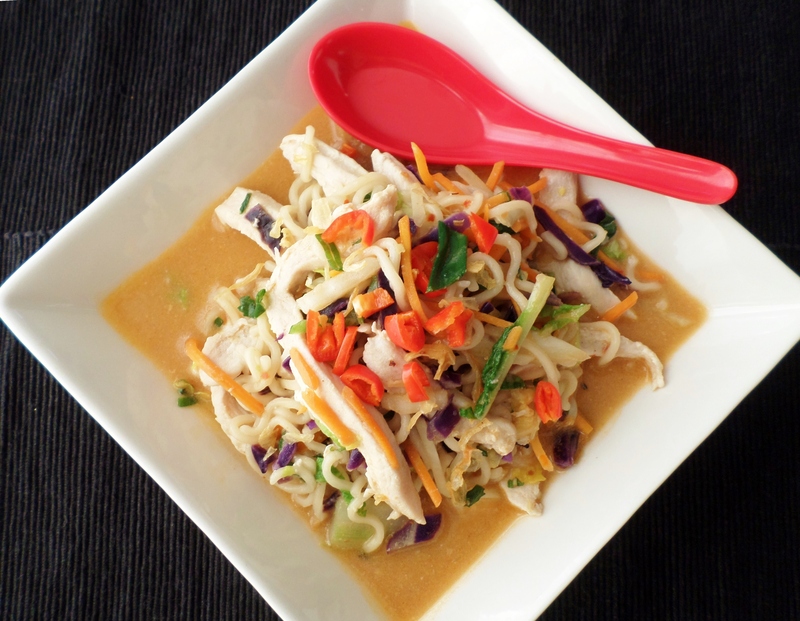 This entry was posted in Mains and tagged Asian, Chicken, Curry, Food, Laksa, Noodles, Recipe, Recipes, Soup, Vegetables. Bookmark the permalink.